The Prime Minister, Shri Narendra Modi, will visit his Parliamentary Constituency of Varanasi, on the 22nd and 23rd of September. The Prime Minister’s engagements in this period will cover aspects as diverse as infrastructure, railways, textiles, financial inclusion, environment and sanitation, animal husbandry, culture and spirituality. The Prime Minister will dedicate to the nation, the Deendayal Hastkala Sankul – a trade facilitation centre for handicrafts – at Bada Lalpur. He will briefly visit the facilities at the Sankul. Shri Narendra Modi will flag off the Mahamana Express through a video link. This train will connect Varanasi with Surat and Vadodara in Gujarat. At the same venue, the Prime Minister will also unveil plaques to mark the laying of Foundation Stone or dedication of various development works in the city. The Prime Minister will inaugurate banking services of the Utkarsh Bank, and will also unveil a plaque to mark the laying of foundation stone of the headquarters building of the Bank. The Utkarsh Bank specializes in micro-finance. The Prime Minister will also dedicate a Jal Ambulance service, and a Jal Shav Vahan service to the people of Varanasi, through a video link. 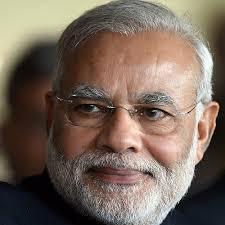 On the evening of 22nd September, the Prime Minister will visit the historic Tulsi Manas Temple in Varanasi. He will release a postal stamp on “Ramayana.” He will later visit the Durga Mata Temple in the city. On the 23rd of September, the Prime Minister will briefly participate in a sanitation related activity in the village of Shahanshahpur. He will then visit a Pashudhan Arogya Mela. The Prime Minister will distribute certificates to beneficiaries of the Pradhan Mantri Awas Yojana (Rural & Urban), and will address the gathering.